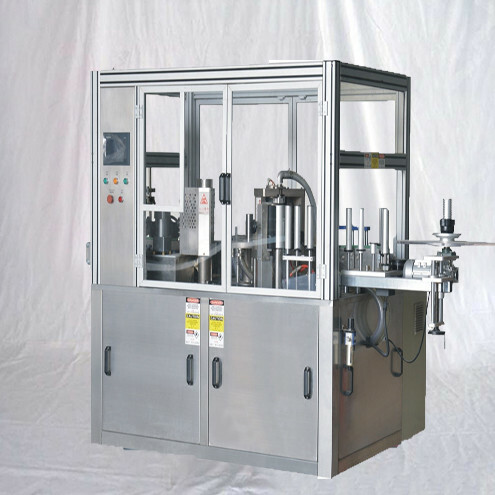 Automatic hot melt glue labeling machine ,which is widely supplied for different material of container and label. 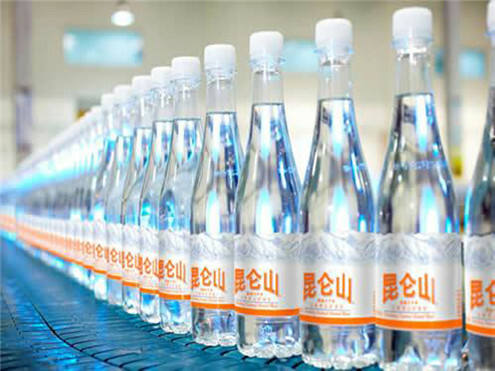 the label cost is comparatively lower, it can meet the requirements of those users who have variety of the containers . 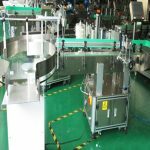 glass or plastic materials while the rotary type can label not only the round-shaped containers but also the square bottles like liquid detergent container etc. 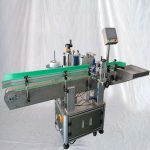 Hot labeling machine is our company’s new product to meet the abroad market. apply to round bottle of food .medicine ,chemical ,and other industry. 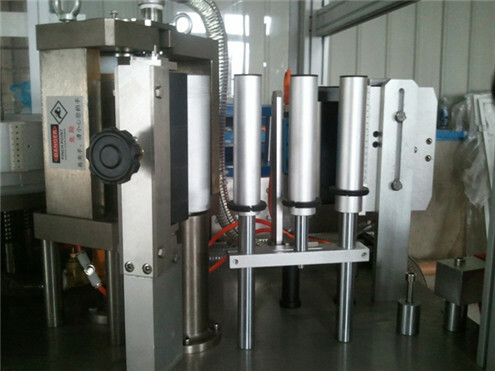 Features of hotmelt adhesive equipment. 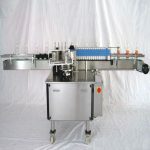 (1).delivery labeling is controlled by servo motor. (2)The labeling is cut accurately. 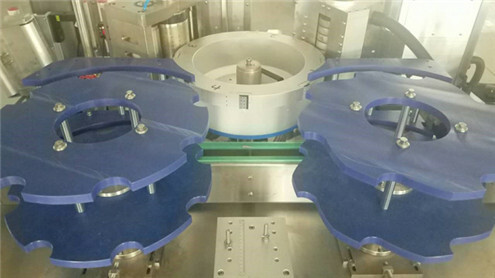 (3)It is easy to exchange the labeling cutter. (4)Exchange parts is less and quickly. (5)Check the labeling quickly and don’t waster the labeling . 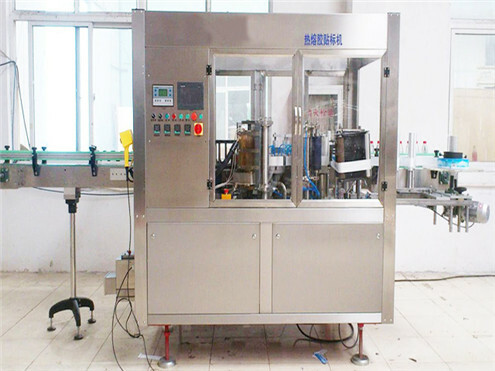 (6) 1 kg hot melt may use 60000-100000 bottle and reduce the cost. 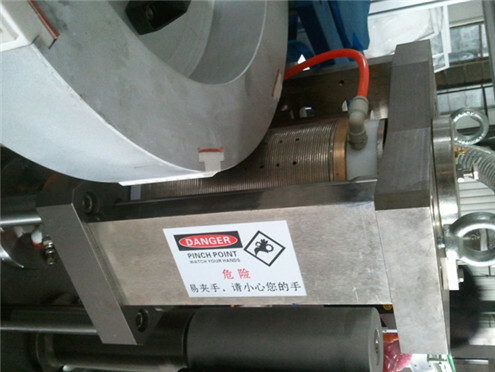 (7) the label material is OPP,and save cost 1/3. (8) the machine power is 9KW. so save electric resource. 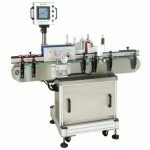 ►Installation, operate and maintenance staff must undergo training qualified before use this machine. 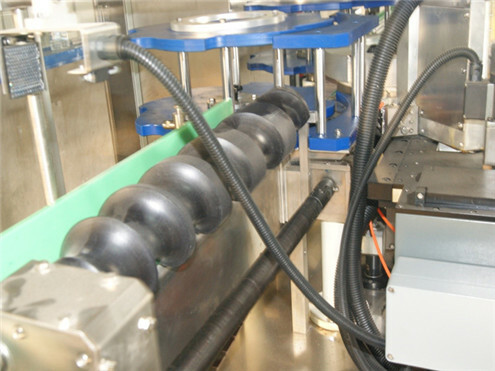 ◆ When machine is arriving, installation staff has to check visually if machine is damaged, such as frame deformation, cabinet affected by damp, crash, etc. If unclear please get in touch with manufacturer to check. And please do advise transport company immediately as soon as find machine damaged. ◆ Be careful in case of using lifting equipment like forklift, as it takes risks of sliding or unbalance. ◆ Please do watch carefully parts under working table before using forklift or other lifting equipment. Or you may complete handling under guidance of skilled workers. ◆ Do not use cable to lift machine. ◆ Installation staff is not allowed to connect machine to power supply. ◆ Do not take tranquilizer, medicines or alcoholic drinks prone to trance state when operating machine. 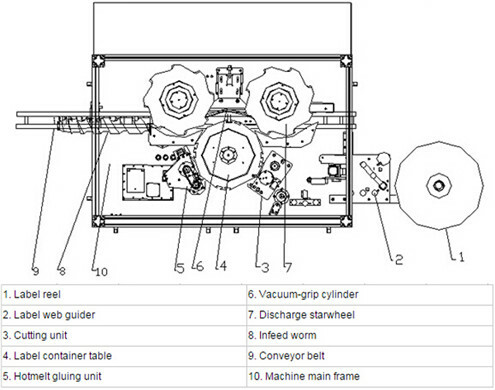 ◆ Do have a detailed understanding of mechanism, function, control knobs, device before start machine. ◆ It is not allowed to use this machine without our authority or permission. ◆ Pay attention to warnings or other signs at anytime. ◆ Do not start machine in case of pressure abnormity on site. ◆ Do not run machine once it stops working suddenly for some reason. And arrange qualified technician being trained to check where problem goes. ◆ Keep far away from moving parts before machine stops completely. ◆ Not allowed to do maintenance on working table under power. 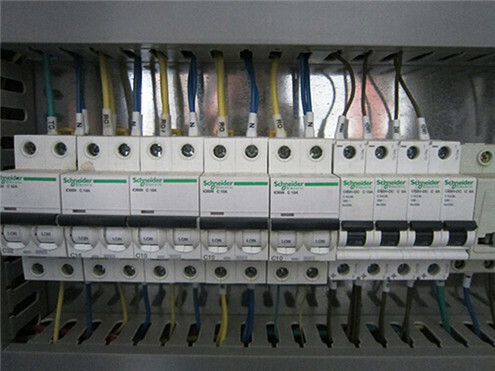 ◆ Not until open the main circuit breaker and switch the main power are you allowed to maintain electric elements. ◆ Take care of touching parts to avoid damage or displacement. ◆ Do check carefully when let machine work alone. Tools are not allowed to be left on working table. ◆ Not allowed to make a cut with flame or hammer at any parts on machine. In case of changeovers, enough space shall be left on the end of new reel so as to tape one end on the old one. It’s necessary to follow Homing (Ref. 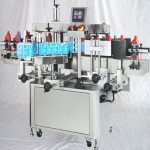 4-4.5) once label position is not synchronized with label guide roller. Incomplete parts on these two cut labels must make into a whole artwork. A strip of tape covers in front of two labels in small area. 2) Do tighten quick lock after winding label reel in reference to Label Unwind Path. Then jog machine by manual instead of using Start button, and remove the container corresponding to integrated label with tape. Finally check if cutting position is correct, otherwise operator must run Homing as said (Ref.4-4.5). 3)Use Start button to run machine. vacuum label edge in correct direction. ◆ It spends normally 40min to get melting ready, but there are exceptions according to various adhesives. 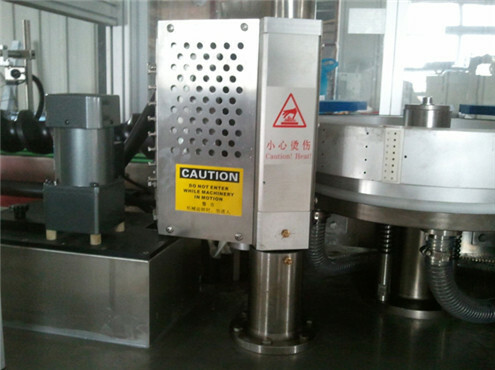 ◆ It’s necessary to keep clean adhesive in melting machine. 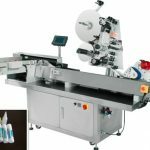 Any chipped adhesive crumbles, if exist, could not be used any more in production. Otherwise they would block up pipes. ◆ Human must keep far away in case of getting burnt when hot melt machine is running. 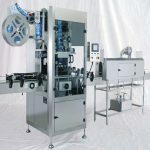 ◆ It is Technician(s) from melting machine manufacturer that is(are) allowed to do the maintenance to this machine. 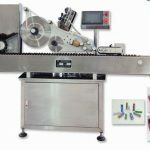 It is allowed to clean the labelling machine by someone of no mechanical/electric common, yet he has to be properly trained. Attention power must be off when cleaning machine. For sure for those having knowledge of mechanism and electricity, it takes less chance to be in danger. We strongly recommend that maintenance should be done by skilled and trained workers. Attention: Maintenance covers many factors like mechanism, electricity, motor etc.